This year audiences have the chance to witness World Champion Irish dancers direct from the West End’s Lord of the Dance, as A TASTE OF IRELAND – THE IRISH MUSIC AND DANCE SENSATION tours Australia-wide telling the tale of the world’s most loved nation in one incredible performance. Told through Irish music and dance, A TASTE OF IRELAND explores magical tales spanning generations of Irish storytelling and culture. This world class show features World, All Ireland & National Champion Irish dancers, and musicians from around the globe performing unique music and dance that reflects the story that is Ireland. Melodic Celtic flute is complemented by raw and rhythmic guitar to create the heart felt sounds of Ireland. The show features a dynamic musical duo and impressive dancing rarely seen outside of the World Championship stage. 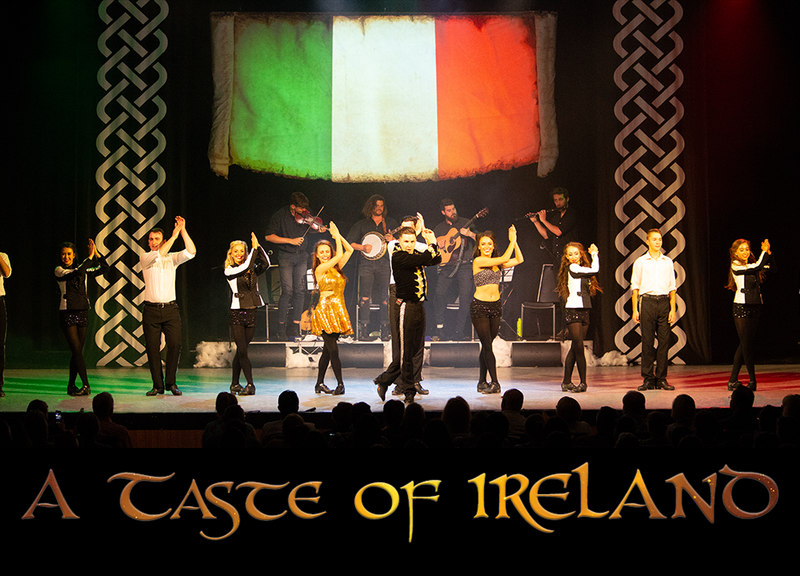 “A Taste of Ireland” was composed and choreographed in Dublin and is quickly on its way to becoming the new frontier in Irish entertainment.